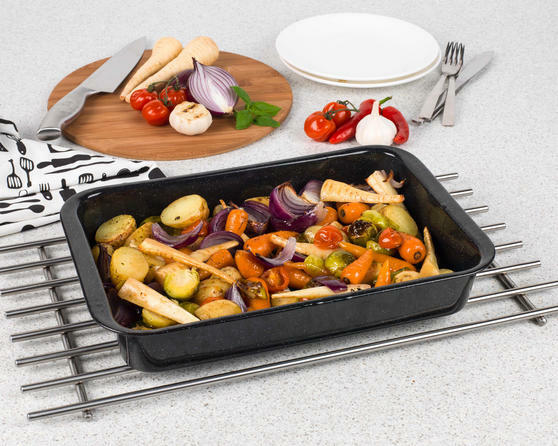 This smart, solid Russell Hobbs roaster is a staple for any cookware set and can be used to cook a huge range of foods including meat, vegetables and more to make a delicious family dinner. 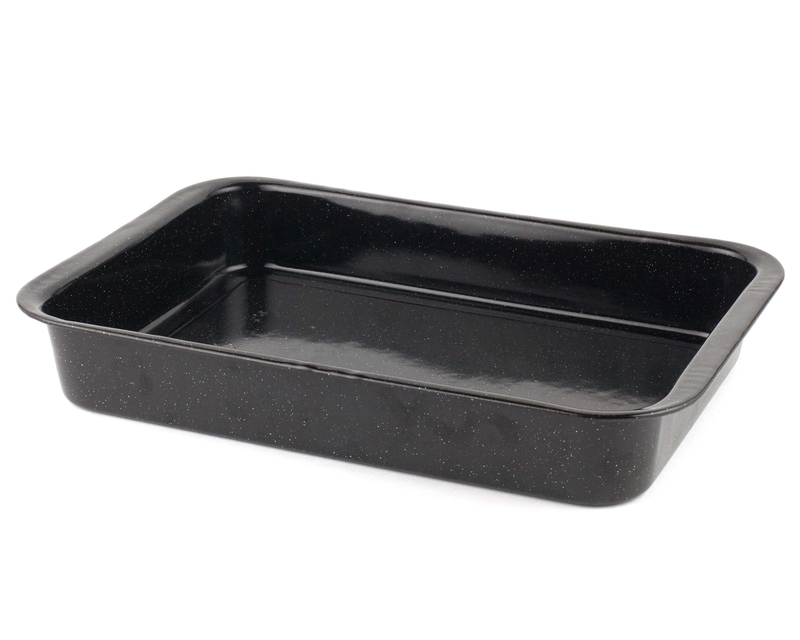 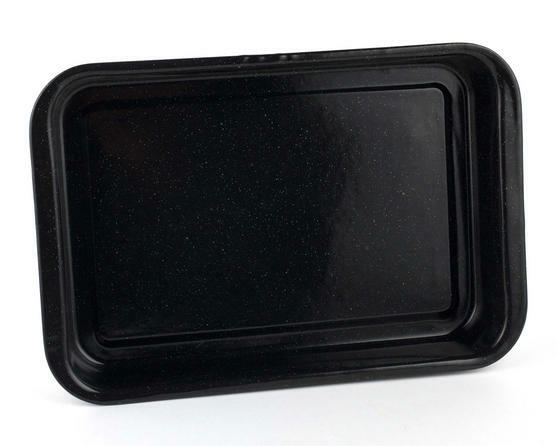 Made from strong 0.7 mm gauge steel with a black vitreous enamel coating to the interior and exterior, it is incredibly durable, easy to clean and will not stain or discolour with use. 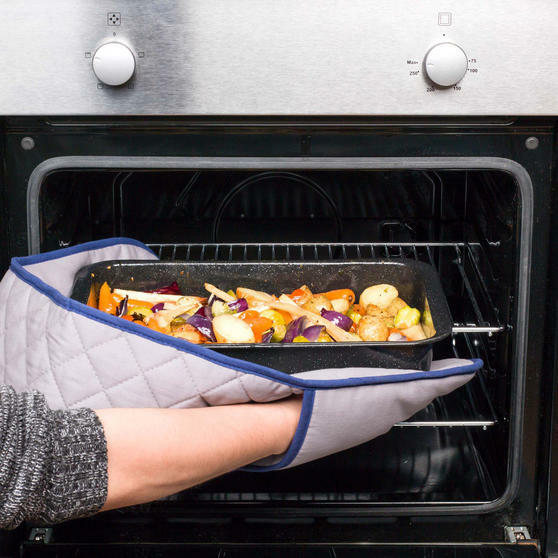 Suitable for use up to 230° in all standard gas and electric ovens, so you can enjoy simple, hassle free cooking every day. 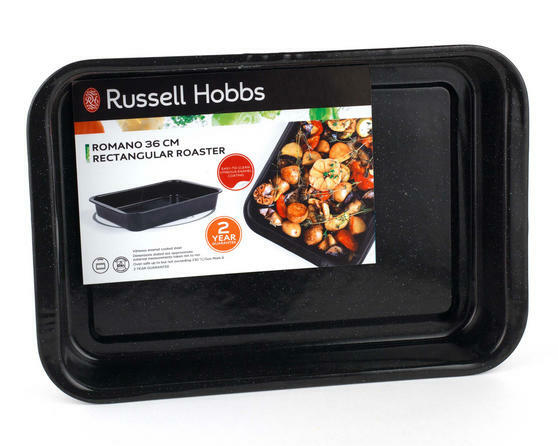 This brilliant Russell Hobbs roasting tin is made from long lasting steel with a smart looking and durable vitreous enamel coating. 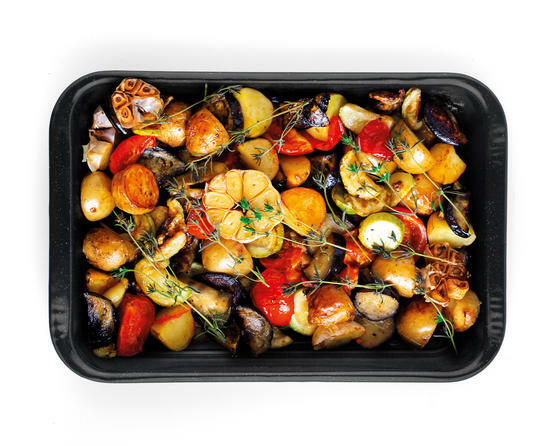 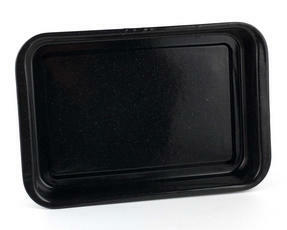 Ideal for use with all standard gas and electric ovens, this versatile roasting tin is suitable for oven use up to 230° or gas mark 8. Measuring a conveniently sized 36l x 25w x 5h cm, the roasting tin can hold a large amount and will fit most standard sized ovens. Perfect for use on a daily basis, this superb roasting tin can be used to cook a huge array of foods for the whole family to enjoy.